Michael McLoughlin is an artist and researcher from Dublin who makes audiowork, drawings, sculptural objects, video and installations. His artistic approach endeavors to presents an outlet for dialogue/exchange and explores the physicality of places where, and the manner in which, people interact. Since the mid-1990s Michael McLoughlin has consistently developed and presented new ways of making contemporary artwork in social contexts. 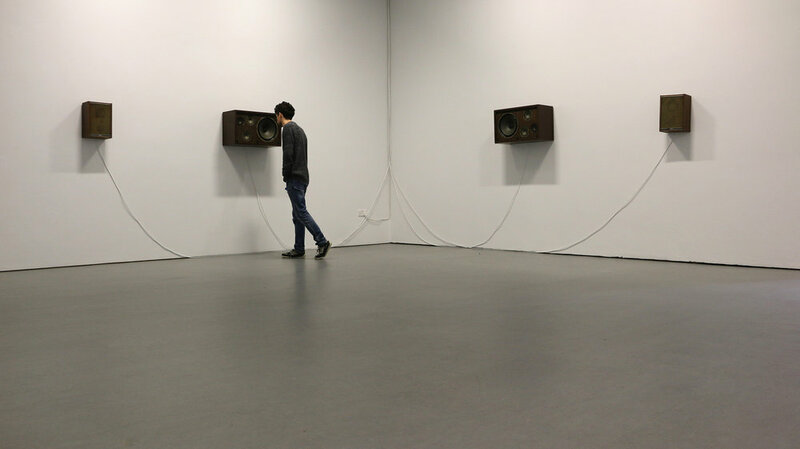 Within the last year he has made site specific audio work in Limerick (Cumann:An Audio Map of Limerick, Limerick City Gallery of Art), Drogheda (Cumann, Droichead Art Centre, & as part of Beyond the Pale, Highlanes) and in Dublin (Rest Here, UCD Sutherland School of Law & Ocean Wonder Resort Revelations, Portrane). His artists book of drawings, I am here because I know you will be too was published by Dublin City Council in 2014. McLoughlin has been Artist in Residence in Draiocht Arts Centre, Blanchardstown (2017), and at UCD College of Social Science & Law in 2015, where he has since begun a critical social and institutional analysis of ethics, art-making and knowledge production in the contexts of social practice in the School of Sociology.